Spice it, flavour it, accompany it ... with some fish. Egg, too. Everything is better with an egg! If the kitten eats it ... it's good for me. Did you know, cats cannot taste sweet? My little guy went wild for pig gelatine topped with cream. ... another "Fish over Scattered Real Food" dish. This method really is easy to do and easy to get all the food together at the same point for serving. Real food can stand being slightly underdone and even slightly overdone, so conventional cooking times do go out of the window ... but ... as a general rule of thumb, veggies cut into slices need little more than three or four minutes steamed, soft veggies maybe a couple of minutes and fish (steamed) around six. You can see that real food can be cooked and plated in a really short time with minimal effort expended. It's the little details that elevate a "plate of real food" - pleasing placement, arrangement, and then the garnish and accents. Here, I grabbed a bunch of food: kale, spinach, courgette, carrots, a leftover baked potato and a few strawberries that needed eating up. Fruit goes well with fish - grapefruit and orange with the likes of salmon and trout, sharp, bitter fruit like rhubarb with mackerel and herring, sweeter fruits like watermelon and strawberry with white fish. So, carrot peeled and sliced, courgette peeled into ribbons and set into a steamer, spinach and kale softened in a frying pan with butter, and potato simply cut into wedges and fried off in goose fat. The egg was poached in a ramekin and the fish steamed. I went with a couple of fillets of pollock each. Pollock is a white fish, similar in structure to haddock. Dish arranged through artistic scattering and garnished with caviar, we're ready to eat. What a phenomenal combination of flavours and textures! Very similar in technique to yesterday's Sea Bass Sandwich, today, poached trout. Just the one fillet, though. No trout? Salmon will do just fine - get the thin tail fillets. To poach thin fillets of trout or salmon, I just use boiling water and a pinch of bouillon powder for which I go with Marigold brand. Simply place the fillets in a pan, pour boiling water over and pop the lid on. Let it sit like that for a good half hour. It'll probably ready before, but I like relaxed cooking - it's still be ready when I'm ready. Carrots, salad potatoes and broccoli. Simply slice the potatoes, peel and cut the carrots into chunks and break up the broccoli florets. Boil and steam, as appropriate. I boiled a few eggs as well - lunch, tomorrow and a couple just to eat, one of which ended up on the plate. Salad leaves and black pepper. Eggs slices ... fridge open ... sliced pickled beetroot. That'll do. With the veggies cooked through, scatter over the plate and top with the poached trout fillet. Soured cream, lemon juice and a generous amount of chopped dill. Hollandaise would be very good, too. Roasted Rat? Yeah! Okay ... okay ... Ratatouille. Ratatouille is a traditional French Provençal stewed vegetable dish, formally titled Ratatouille Niçoise in reference to its city of origin. The main ingredients are tomatoes, onions, courgette, aubergine, peppers, garlic, marjoram and basil. Variations are permissible and indeed, recommended. My Rat was: onions, aubergine, courgette, mushrooms, sweet potato, chillies, garlic, oregano, chicken stock, black pepper and chopped tomatoes, fortified with a couple of blobs of tomato purée. I added a good glob of goose fat into the middle - I find fat seems to emulsify tomato sauces well, giving a real sumptuous depth. ... back from your walk, raise the temperature to 200C and remove the lid. The initial cooking period will meld all the flavours together, soften the veggies and generally make a gorgeous stew; a wet, gorgeous stew. The second phase will reduce the liquor, concentrate the flavours and bring a subtle roasted flavour to the dish and will take about half an hour. Hake. It's an ugly brute! Gut and remove the scales. Hake has a set of tough spines top and belly, so watch out as you work. I'd recommend leaving them on, since once cooked, those spines assist in the removal of the skin and the rest of the bone structure. Head off. Chop straight through the fish, through the backbone, knocking your knife through with a rolling pin. You need a good, strong Chef's knife for this; better, a cleaver. You'll get four good thick steaks from the front of the fish, the rear can then be filleted along the backbone to release two good tail fillets. We're going to have the thick steaks tonight. Simply settle the fish into a steamer and steam away for about 15 minutes. Too little and the interior of the fish won't quite be done, nor will the skin and bones slip off. 15 minutes is about right. Meanwhile, with a little coconut oil in a frying pan, fry off some kale until crispy. My Mrs fancied some chips (pictured), so I made a few, par boiling in the steaming water and shallow frying in goose fat. Fish ready, simply pull the spines and the skin will remove. If you're lucky, the spine will also come with it and you'll be left with the two sides of the fish still just about held together. You can leave it on the spine and simply remove the flesh as you eat - no issue there. Kale in a bowl, Rat alongside, fish over. Chips alongside are optional. Classic British ... and kept Primal! This is definitely one for the lactose tolerant amongst us and some folks will take issue with my use of the word Primal, there, but I am in no doubt that it is - yes, it's dairy, milk even, but well sourced and not thickened with a traditional roux or cornflour. Traditionally, you'd begin with a roux of flour and butter into which infused milk is poured.Flour is out, as is cornflour ... which would be added at the end. Arrowroot is right out since it lends a slimy texture to the sauce which is not appealing. Begin with good milk. Raw, preferably. I used some Jersey cow milk which is of the A2 type, less problematic than the potentially allergenic A1 type, even for those who are lactose tolerant. 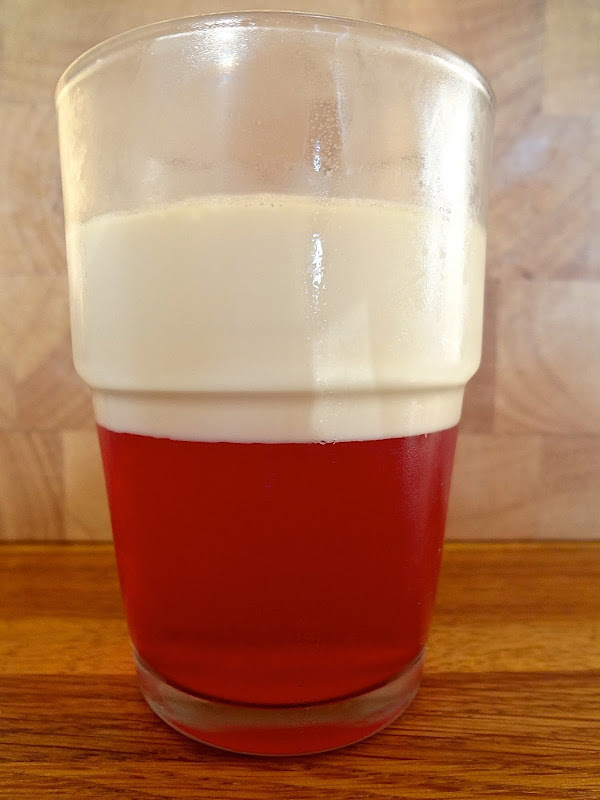 Half a pint is good for two people - we are going to reduce this, but we're also going to add some cream at the end. Half a pint is good, in a saucepan ... into which we add half a chopped onion, some tarragon, a couple of bay leaves and some white pepper to flavour up the milk. Strain off the solids and return to the pan to reduce along with a generous amount of chopped parsley. Don't do this too quickly, but after another 10 minutes, or so, simmering, the liquid will be visibly thicker. Meanwhile, prepare and cook the meal through - it'll only need maybe 10 minutes anyway. Fish - I went with cod, which can be steamed in a kitchen foil lined steamer. I have a stacking steamer set, so this goes up on top. Veggies - carrot, potato and peas, all in the base pan to boil through with spring greens in a steamer on top. Cod in a steamer on top of that, remember. If your sauce is still reducing, just turn the heat off under your veggies and fish - they'll keep warm. With your sauce now well thickened, add a dash of double cream, perhaps some salt to taste and if really necessary, a touch of cassava flour will just thicken it perfectly. Cassava flour, tapioca flour or even potato flour will do, as a beurre manié. There I go again with French phrases ... relax, it's just butter and flour mixed together into a paste, which is dropped into the sauce in chunks and whisked in until just right. Cod down, veggies alongside and sauce over the cod. Grind of freshly milled black pepper, grab your diggers and ... erm ... dig in! Perfect! Gorgeous comfort food, kept Primal. Mondays tend to bring fast, easy and eclectic dishes using up any leftovers from the weekend, the tail ends of veggies and really just a general clear-out. I have a load of haddock tails which we've been feeding the kitten with, but truth be told ... some of it is too good for cats, and so to keep a fresh supply going, we're going to have to take one for the team and eat some ourselves. So, for two people I have about half a pound of mixed haddock pieces. The other ingredients were: sweet potato, carrot, courgette, chestnut mushrooms, green pepper, celery, spring onion, chillies and garnished with parsley. Egg on top - boiled for me, fried for the Mrs.
How to? Par boil the carrot and sweet potato for three or four minutes, drain and drop into a heavy based skillet with a load of good fat: yes, goose fat for me! Coconut oil would be great, too. Add in the other ingredients: courgette and mushrooms will soak up the fat while the fish cooks through. The spring onions, celery and chillies will warm through and give their subtle flavours to the dish, as will the green pepper which will also bring a pleasant crunch. I served out like that, although if you're into coconut, I think some canned coconut milk over would make a really nice stew, especially with a stronger chilli, say Scotch Bonnet. Using lamb, mutton or goat, soak overnight in coconut milk and then simmer in a lidded skillet along with a Scotch Bonnet pepper for a good couple of hours until tender, refreshing with water as it evaporates. Using the same vegetables, perform the same preparation in another pan and then pour the just-cooked vegetables into the meat stew. You could simplify right back and just go with sweet potato, green pepper and spring onions. Boom! That does sound good! I don't need to tell you about the great benefits of organ meats. Eaten once or twice a week, you'll get your requirement of all those micronutrients that organ meat is so rich in. Nature's multi-vitamin! Nor do I need to tell you about how great spinach is. Together, wonderful, but it's Sunday morning and I've got an active day ahead, so a starchy breakfast is not at all a bad thing. Fries ... chips, frites, whatever your language, they're always best cooked in animal fats. Thinly cut, par-boiled and fried off in goose fat ... perfect! I've made this before using pancetta, but this time: bacon. Served with some leaves, asparagus and a few potatoes, you can get this lot from ingredients to a meal on a plate in about 20 minutes. First, wrap a piece of bacon around your salmon fillets. Commit to the oven - this will need 20 minutes. Next, get your veggies boiling, steaming or whatever it is you do with the veggies you've picked. I went with asparagus and potatoes; so, potatoes in to boil (15 minutes) and asparagus on top to steam (for the last few minutes). Meanwhile, dress a plate with some salad leaves, drop on a few capers, a few slivers of pickled garlic and a good slosh of olive oil. Asparagus down, salmon on top and potatoes alongside. I love the fatty bacon. Streaky and unsmoked. Outdoor reared and unfettled. I don't eat breakfast through the week, but do like a spot of brunch at the weekends ... for which bacon gives me a lovely treat. I've taken some leave this week to get the house in order (decorating and such like) and so, a good breakfast is in order. Mushrooms, liver, onions and pickled gherkins - simply fry off the onions to soften in some lard, add in the mushrooms to soak up all the good fat and then toss in some bacon, shredded, and finally some chopped liver - lamb's liver for me. Prior to serving, some chopped pickled gherkins just to cut through. Serve over spinach leaves spiced up with cayenne pepper and black pepper. Bacon, grilled and layed over spinach again, spiced with cayenne pepper and black pepper. Now, sliced mushrooms fried off in lard. Top that with pickled gherkin and pickled beetroot, garnished with cottage cheese and pea shoots. Egg. Fried on the first one (not pictured) and boiled with the second (pictured at the top). Let your imagination go ... empty the fridge onto your plate and breakfast centered around bacon need never be the same again. Beyond Paleo folks will certainly appreciate this dish, as will folks who are experimenting with sources of resistant starch. For me, this is breakfast. My Mrs abhors rice (and curry, for that matter) so I made her a hash with potato and tomato; poached trout on top and a poached egg to crown. Curried Vegetable Rice is simply a case of boiling up some rice in spices and adding in the vegetables towards the end just to cook through. I don't weigh or measure, and don't get overly concerned about ratios of rice to water and length of time to cook. I guess I take my cue from Pakistani and North Indian methods that I have grown up with, where the rice in a pan sealed with a wet towel and lid on could be left for quite literally hours. For one hungry person, I use about half a cup of Basmati Rice over which I sprinkle some spices, add salt and pour over some water. I say, "some" since I've never measured it. I just boil away until the rice is cooked through, puffed up and absorbed most of the water and then lower the heat to allow the remainder of the water to evaporate. It is at that point that I toss in the veggies. My spice mix? Equal portions of turmeric, ground coriander, ground cumin, asafoetida and fenugreek. I also add chilli powder to taste, or whole chillies chopped up and a good pinch of salt. Veggies? Any will do. Literally, any. Here, I went with celery, carrots, spring onions, red pepper, green pepper, courgette (I think) and some chives. Any will do ... just chop down nice and small, and fold in once the rice has absorbed most of the water. Trout. Poached. Salmon would do well, as would some smoked fish, perhaps poached in milk. Haddock, say. Let's also poach an egg - all meals are better with an egg on top. I had some leftovers which did for another day, bulked out with some mushrooms and some black pudding. Black Pudding? Yeah, blood and fat in large rounds. Just fry off in your favourite paleo fat until cooked through and retrieve, fry off the mushrooms and then toss in the leftover rice. Chop up the black pudding and fold through at the end. Fancy something a little different? I was looking back through some food pictures and reminded just how good some birds are. I can take or leave chicken, besides which most are factory slaughtered in a manner which I am not happy with; likewise, turkey. Seasonal game birds are always good, preferably with warnings around shot in the meat, but also small production farms who can bring up ethically reared and slaughtered birds: duck and goose, namely. My local supermarket carries a reasonable stock of Gressingham Duck Company products. Pushing aside the Duck in Plum Sauce, Duck in Orange Sauce and Spicy Aromatic Duck, I found a container of what was labelled "Mini Breasts". In reality, I think these are the offcuts of trimmed breast, but there was a good amount at a good price. But, what to do with them? Pepped up with a dipping sauce and served with rice pancakes was one suggestion, nice salad of mooli and cucumber juliennes alongside. Take just that notion and go Mexican? It is Friday night afterall: Mexican Night! So, duck, sweet red peppers, cucumber, tomato, marjoram, chilli, ginger, garlic and chives left to marinate in lime juice for a good hour, some fajitas made up with polvidho azedo (Manchego in place of the pecorino, here) and a guacamole alongside, chilli sauce for flavour. I make up one from Maggi Chilli Sauce (which is just Chilli and a little sugar), Worcestershire Sauce, Tomato Ketchup (British Heinz brand is not quite as evil as it is in the US) and a little lemon juice. Relax! It's a condiment. You can do better, I'm sure! Please do. ... and there we are: Fajitas, done a little different. Yes, indeed! Dessert ... and jelly, at that! I'm going to get shot down here, but jelly is a superb paleo dessert. Like many, I've been reading some Ray Peat. I don't subscribe, but I refuse to leave empty-handed. Two takeaways for me: First, maybe work more fruit in; Second, don't neglect gelatine. Skin, cartilage and marrow are the most gelatinous parts of a cut and so, cuts straight through, containing the bones, connective tissue and skin are best. Lamb Shanks, anyone? But, how to work in more gelatine otherwise? Well, gelatine comes in a couple of easy to use forms: sheets and powder. I use sheets regularly since I absolutely adore Panna Cotta. Set cream. Jelly is my compromise. I don't like fruit, but wild berries are fine by me in season and surplus stored in the freezer for use out of season. I'm okay with grape juice, too, so long as it's fermented and French. We can fool ourselves all we like about the health benefits of red wine, because in the end, it's the grape itself which is the good bit ... and so, my jelly is simply red grape juice, set with gelatine. Make jelly, simply by setting red grape juice with gelatine*. Make Panna Cotta**. Half and half cream is good, a touch of vanilla and sufficient gelatine* to set. Pour over, gently. * Let's just clarify this. Your gelatine will have a guide around what volume of liquid a given amount will set. You know the volumes (if not, just measure it) so just put in the relevant amount of gelatine, following the guidance, and you're done. ** More clarification. Simply take these ingredients and warm 'em up in a pan, pour out into glasses or ramekins and you're done. Need more help? Have a nose at this and this. Forget all those faffy recipes with a whole load of ingredients and give those that suggest "dusting in flour" a wide berth! These are Fast Fish Cakes! Phew! What a great day! We're taking a few days day tripping and today was ... Bradford. No, really! You rarely actually visit your home town as a tourist, so today ... we did. I have to say, once you've done the National Media Museum, had a nose at the mirror pool in the City Park and had one of our famous curries, you're about done. ... and we don't really have a lot in. I do have some haddock which we're sharing with the cat, a piece of smoked mackerel and some potatoes. We only want a light bite, since we've got a fun dessert coming up and so: Fish Cakes. To make these, you need fish (duh!) and potato. Add flavours in, if you like, but it's fish and potato. Boil up a roasting/baking potato like Maris Piper or Yukon Gold, having cut into small-ish pieces. You don't want to over boil them since some structure is good, but when they're done, drain them and allow all the steam to go off before handing. Fish, you need the same amount as potato. Any will do. As I said, I had haddock and smoked mackerel. Crush the potato and mix in the fish. Sea salt and black pepper for flavour, I added spring onions and chilli. Form patties by balling up a suitable amount and then pressing flat, forming on a board with your fingers. You could use Chef's forming rings, but these are good a little rustic. Fry off in a heavy based pan with a good amount of your favourite paleo fat, turning after a few minutes. I used goose fat. This will allow all the fish to cook through just right and the cake to colour up. Serve out with a little salad and your favourite dipping sauce. I make up one from Maggi Chilli Sauce (which is just Chilli and a little sugar), Worcestershire Sauce, Tomato Ketchup (British Heinz brand is not quite as evil as it is in the US) and a little lemon juice. Relax! It's a condiment. You can do better - please do. I make this up maybe two, possibly three times a year. I picked up a pot at the supermarket, having never cooked with it, with the intention of using it as part of a spicy marinating stock for lamb shanks. Tonight's dinner was quite literally a use anything you have to hand kind of meal. We've been sharing a good haul of haddock with our kitten and truth be told, he gets the best bits ... we're left with the offcuts and dog ends. See what I did there? For something quick and tasty, I simply made up a tomato sauce from a carton of chopped tomatoes, some red onion, garlic, ginger and chilli, into which I cooked some carrot slices through making a gorgeous sauce with a subtle sweetness. Drop in the haddock pieces, some sliced mushrooms and some peas. Haddock goes very well with mushrooms. Crowning glory? Pesto: a very simple way to pep up a rustic dish. My pesto was tarragon and parsley, blended with hazelnuts and olive oil, sumac added in for the zingy, tangy flavour. If you don't have sumac, some lemon juice and the rind would do okay. As I said at the top, this was a fast, quick and frugal dish for a Monday night. You can make up the sauce and add in whatever fish or meat you have; it's a kind of Soup Pistou ... of sorts. It's still chuffin' hot and I've got these lamb shanks to eat. When it's hot, spicy food is good and smaller portions is good. Lamb shanks are beautiful! Loads of really good, fatty meat full of gelatine in the skin and marrow in the bone. But, again, it's hot and I really don't want to be cooking all day, so ... lamb shanks are actually perfect! Simply boil a large parsnip, blend with cream and chill in the fridge. Yeah, that's it. Eat with carrot and celery sticks. Leftovers accompany a dish like this perfectly ... chilled. In a large ovenproof dish (I use Pyrex), set out a good base of onion, garlic, ginger, chilli, sweet red peppers, some paprika, fennel, carrot and celery, settle the shanks over, pour a carton of chopped tomatoes over and top up with a light stock, like chicken. Into the oven at 150C (300F) for four hours, by which time the meat will be falling off the bone. Retrieve the shanks carefully and keep them warm in tin foil while you blend and then reduce the sauce. It will be naturally thickened with the gelatine, but that reduction will make a really fly sauce. Serve out, sauce in a bowl, shank laid over and the cool parsnip cream alongside. Fresh coriander to garnish and a little crunch from red and green peppers. Don't forget to winkle out the marrow from the bone. Friday night! We made it! Veracruz is in Mexico. Veracruz Sauce is from Veracruz. Veracruz is on the coast. Veracruz Sauce works perfectly over fish ... any fish. Here, Basa ... there Basa, everywhere a Basa Basa? Where was I? Oh yes, fish ... use any fish you like. Veracruz is a simple sauce, easily made up and in no way supposed to be high-brow, complicated or flounced up. This is simple eating. I began with some lard. I am in no way a connoisseur of Mexican food, but I read ... I had read that Mexicans love lard, so that's where I started. Some finely chopped onions went in - white and red, just white, just red, your choice. I had a white onion, so that's what I used. When sweating onions, I like to add just a little sea salt, which I think brings out the liquid in the onion and enhances the natural sweetness. Give them a few minutes before introducing them to some garlic, ginger and chillies. Some, a little, a lot, your choice. Now, pour over some chopped tomatoes. Add some herbs. I went wild and used oregano, marjoram and thyme. I went even more wild and dropped in a dried Scotch Bonnet (forgetting I'd already added chillies). Not knowing a whole heap about Mexican food, I guess a chipotle would have been better, which I do have in, but I love the taste of Scotch Bonnet. Mexican oregano is very different to our oregano. I don't even think it's the same herb, even, and have garnered that it is more like our marjoram in scent and flavour. Thyme accompanies the Scotch Bonnet perfectly and gives that Caribbean flava. I got lost ... we'll call it fusion. Drop in some olives and some capers. ... and that's Veracruz Sauce. Let it simmer and reduce, combining all those flavours ... which you can enhance with some Salsa Anglais (Worcestershire Sauce) if you like. Apparently, Mexicans go loco for the stuff and why not? It's gorgeous! Steam some fish or pan fry it. Either, any method ... just cook some fish through. Actually, ceviche is gorgeous with this sauce. I went with lightly pan-fried basa in lard. Fish down, sauce over ... garnish with something or other, like scallions (spring onions) or chives. I served this with a marinated mushroom and pepper salad. Ahead of time, simply chop some mushrooms, green and red peppers, a red onion and some chilli. Mix well and slosh over cider vinegar. Add black pepper, a little sea salt and some chopped dill. Turn frequently, but do allow the marinade to do its thing for about an hour. Pour off the juices and serve out with fresh dill. ... there you go. Bonus recipe. Enjoy. 32C today ... which is hot hot hot for us folks here in the UK. It's still 30C and it's now gone 6 o'clock ... and I'm fencing in an hour! Yeah, dressing up in ballistic material clothing and running around with a floppy sword for a couple of hours. Better still, for foil or sabre you've to wear a conductive jacket as well! I had a light soup made up - it was just tenderstem broccoli stems, some onion, garlic and a little sea salt, but it's too hot for soup. My idea was to have the smoked salmon as a starter and then drop a few sauté potatoes into the soup. Forget the soup ... I froze ours and combined the starter with some potatoes for a light meal. You need: smoked salmon, boiled egg, tomato, cucumber, pickles: gherkin and beetroot, sour cream, dill, chives, black pepper and a little sea salt. Potato, lightly boiled and sautéed in butter. Arrange, slosh a little olive oil over and you're done.